Junior roll up groups are held between 12 and 1pm every Saturday & Sunday. Also at 1.30pm - 2.30pm on Sundays for the more experienced golfer. Juniors from 5-16 years of all abilities and experience are welcome to learn and improve in a fun and relaxed environment. Please contact Will directly to find out which group would best suit. The group lessons include instruction on the long and short game utilising the clubs fantastic facilities. Lessons also give juniors the opportunity to learn about the rules and etiquette of the game preparing them for play out on the course. 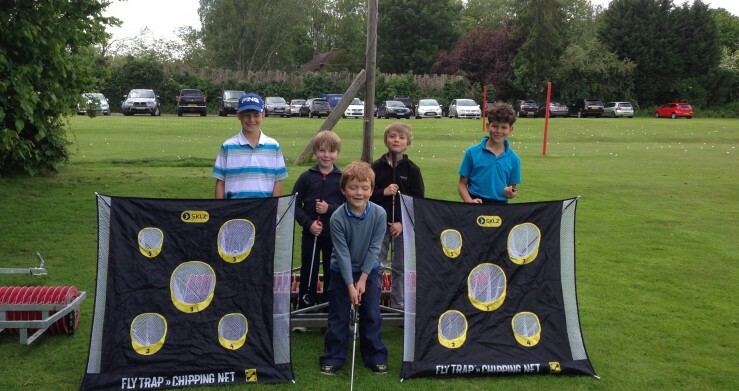 Group lessons are just £7.00 per session. Clubs and all equipment can be provided.